Here's how brands like Home Depot, National Geographic and more are celebrating a somber holiday. On Nov. 11, businesses across the country offer promotions, sales, and specials to recognize Americans who have served in the military. Brands, not all of which have brick-and-mortar presences, are getting in on the holiday, too, with spots highlighting the ways in which they support this country’s veterans. From a psychologist-designed app to friends on a free-hugs mission, check out the ways brands are celebrating the holiday. Released to highlight their "Wings for Heroes" promotion for Veterans Day, Buffalo Wild Wings commissioned this touching spot, which follows a veteran as his friends welcome him home with a thoughtful, surprisingly meaningful, and of course sports-related surprise. In partnership with Air Force psychologist Dr. Michael Valdovinos, National Geographic partnered with app developer Xapp to design the first-ever voice app specifically for veterans. 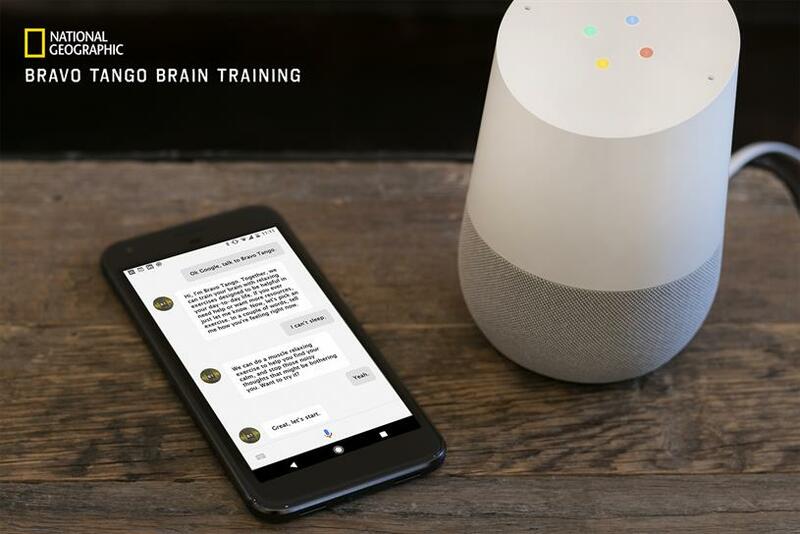 Available on Google Home, the app offers meditation and mindfulness exercises to help veterans cope with a variety of emotions. It’s a continuation of Nat Geo’s new series ‘The Long Road Home’, which follows veterans and their families as they navigate deployment and post-deployment. This is the first public-facing campaign for the Home Depot Foundation, the home improvement giant’s charity wing dedicated to building and remodeling homes for veterans through donation of money, materials and employee volunteers. The spot, which launched in September, is part of a service push that culminates on Veterans Day, when Home Depot customers and employees will perform major improvements on a veterans’ housing complex in New York City. UCHealth's large network of health care centers recently shifted their marketing from highlighting their doctors and staff to highlighting patients and their stories. The latest installment of the ongoing campaign follows a 21-year Army veteran who UCHealth practitioners got back on his feet after a horrific car crash that almost left him unable to walk. Super 8, which offers military discounts and dedicated parking spaces for veterans, released this spot about the Human Hug Project, a trio of friends (two of whom are veterans) who visit VA hospitals offering free hugs and talking to veterans about their stories. Their goal is to visit every VA in the country, and they’re a third of the way there, staying at Super 8s at every stop on their journey.